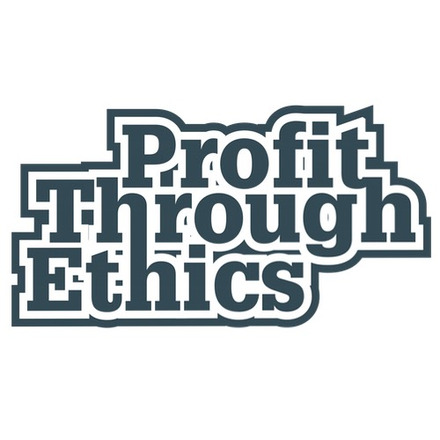 Profit Through Ethics Ltd is the London-based, social business behind Responsible 100. We believe that, with help, any business can improve its responsibility performance, to benefit itself and wider society. Responsible 100 is a management tool designed to provide the framework and insight to do this. The success of businesses truly committed to making the world a better place is critical for our collective future. Responsible 100 seeks to serve these organisations, and all those who wish to see them succeed. Business balancing its pursuit of profit with the interests of society. Our mission is to be a catalyst in the creation of a "race to the top" in business. That is, to create the conditions where businesses must compete on the ambition and impact of their social and environmental innovations, as well as on the price and quality of their products and services. Ultimately, we would like to responsibility to become a direct and powerful driver of profitability and commercial success, and see irresponsibility diminish profits and other measures of business success. To help create the "race to the top": conditions where businesses must compete on the ambition and impact of their social and environmental innovations as well as on the price and quality of their products and services. 'Business as usual' is failing us. We need business to become an unbridled force for good, where profitability and responsibility become aligned. We believe that companies which are the most responsible should be the most successful. We believe a shift toward responsible business practice is not only possible but inevitable. OPEN – we are transparent, sharing what we do and how we do it with the world. We promote openness and honesty, and we are open and honest ourselves. We are open to new thinking and ideas. We are accessible to all. COLLABORATIVE – creating a better type of business to make the world a better place is not something we can achieve alone. We like being part of a team and working together with our clients and partners. We respect and welcome different ideas and always seek to determine the collective view. PRINCIPLED – we have a clear set of values that drive our actions and behaviours. We live by these values and they inform everything we do. PRAGMATIC – we recognise complexity and ambiguity and the need for compromise. We stand firm in our beliefs, but we are not inflexible or dogmatic. We innovate, adapt and keep aiming high. DETERMINED – what we’re doing is tough. Achieving our goals will take courage and tenacity. We are passionate and driven in pursuit of our goals. Profit Through Ethics Ltd currently has clients in the UK only, but we make our services available online and over the phone to anywhere in the world. There are currently 6 members of the team although most positions are currently part time and temporary.